Dimensions are located at the bottom of the page. Large, Bright, Easily Readable Display. Install It Anywhere In Your Dash, Cluster, Or Any Other Spot You Can Think Of. Presoldered Wires For Buttons Which Includes Quick Disconnects For Easy Installation. Upgradable Firmware For Expanding Featureset. 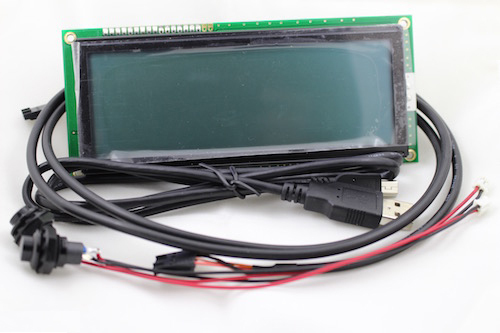 Daisy Chain Multiple TunerView II LCDs To Display Different Data At Once (Case Or Dash Kit). Daisy Chain A TunerView I To The TunerView II (NepTune And eCtune Only). 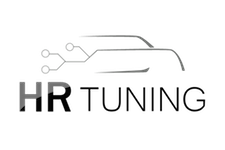 Datalog Through The TunerView With NepTune, NepTune RTP, and eCtune. Larger Processor For Even More Future Capabilities. Completely Rewritten To Be Even More Efficient. Setup And Monitor Custom Analog Sensors. Backlight Adjustment (For Blue LCD Only. Yellow/Green Or Amber Will Stay Lit Constantly.). Disable Injectors For Security (NepTune RTP Only). Switch Between Tunes Right From The Display (NepTune RTP Demon I Only). Supports NepTune, NepTune RTP, NismoTronic SA, eCtune, Crome (See Below), and Uberdata (See below). Natively Supports AEM EMS v1 And v2 With USB Module (Add-On). Natively Supports S300v1/v2/v3 and K-Pro v2/v3 With USB Module (Add-On). 7 Data Pages – One Large Item Or Up To 8 Small Items Per Page. Add Spaces To Group Items. Peak Values – AFR, Duty Cycle, ECT, IAT, MAP, RPM, TPS, and VSS. Settings For Celsius And KPH. Check And Clear Error Codes On All OBD1 Systems. K-Pro Supports Clearing Codes Only. BlueTooth Wireless Add-On Available For Wireless Setup And Datalogging.